My Freezer Meals Vegetarian Chili recipe is perfect for a busy week night meal. 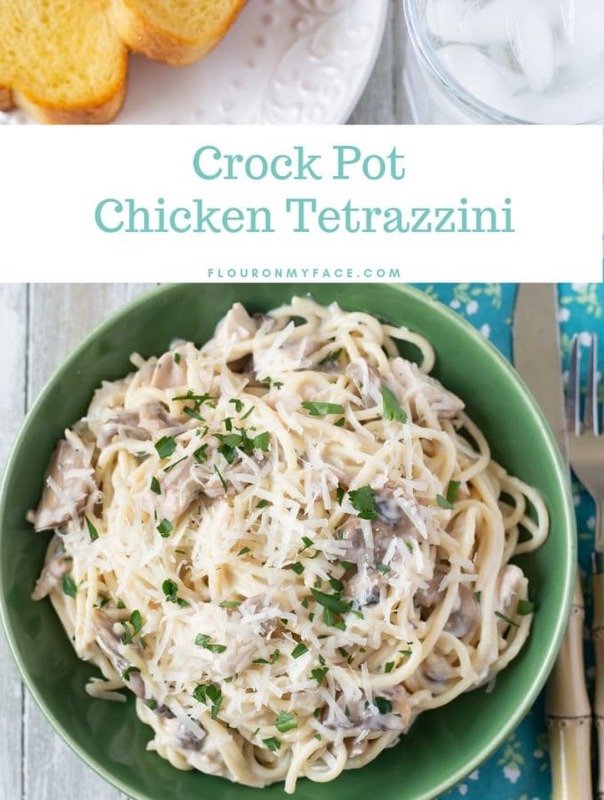 If you struggle at dinner time because you don’t have time in your busy life or because sometimes you just don’t know what to make for dinner Freezer Meals are the way to take back some control over the dinner hour. Even though I am not a vegetarian I do eat a lot of vegetarian meals like this Freezer Meals Vegetarian Chili recipe. I could pretty much give up beef and pork all together but I could never live without chicken. You may have noticed I love chicken recipes. 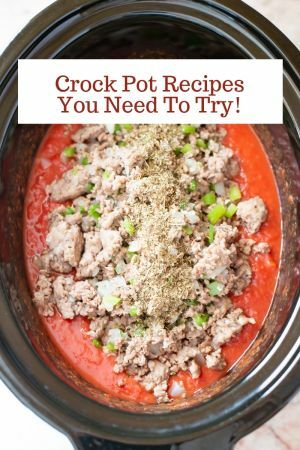 The majority of my crock pot recipes are made with chicken. When it comes to soup and chili recipes I can go either way. Full vegetarian chili or soup recipes or chili or soup recipes made with chicken. One of the best things about this Freezer Meals Vegetarian Chili recipe is that it has a major dose of protein and fiber from the three type of beans in the ingredient list. Protein and fiber are very filling and help satisfy those hunger pains long after you’ve eaten. On the day I made this Freezer Meal Vegetarian Chili recipe I also made Freezer Meal Crock Pot Tex Mex Chicken Chili and Freezer Meal Crock Pot Chicken Corn Chowder. When I am planning a day to make a batch of freezer meals I like to make and freeze more than one freezer meal. This freezer meal system works best for me. 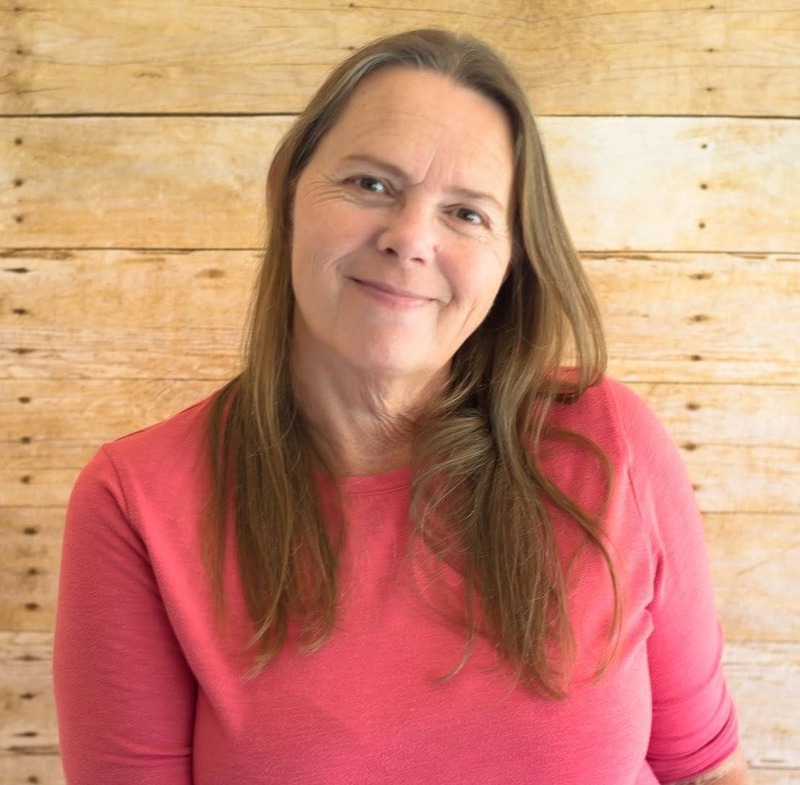 No two freezer meal systems are alike so when you find a Freezer cooking system that works for you stick with it and plan ahead so things run smoothly on the day you are making your freezer meals. Make a list of ingredients you will need for each freezer meal recipe. Search through the pantry for ingredients you may already have on hand. Make sure you have enough freezer friendly containers and plastic bags for the freezer meals you will be preparing. 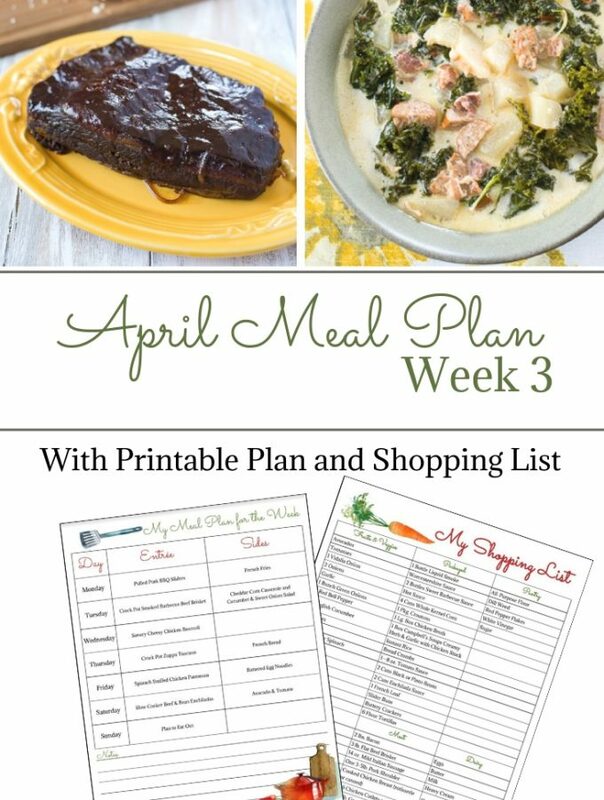 Plan a day to shop for the items you will need for each of the freezer meal recipes. 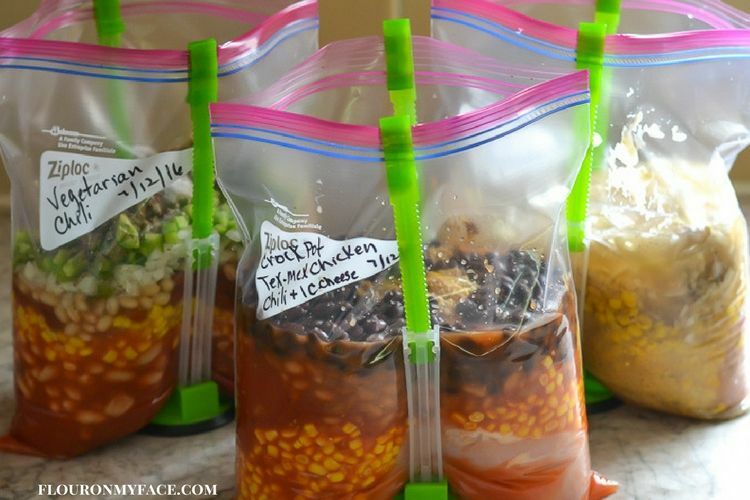 Set aside a block of time to cooked and pack your freezer meals. 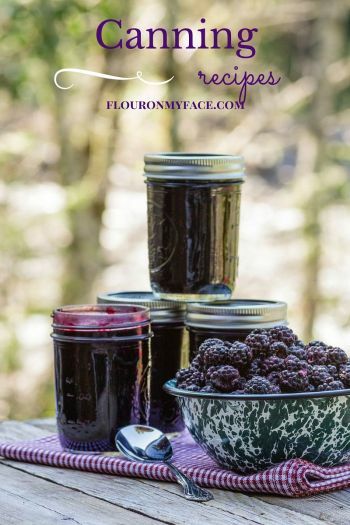 Take advantage of sale prices and buy in bulk when you find very low prices on ingredients you use all the time when batch cooking. It takes about the same time to make 3 different freezer meals as it does to make one freezer meal. You might as well use your freezer meal time wisely and this way you’ll end up with 3 extra freezer meals in the freezer. 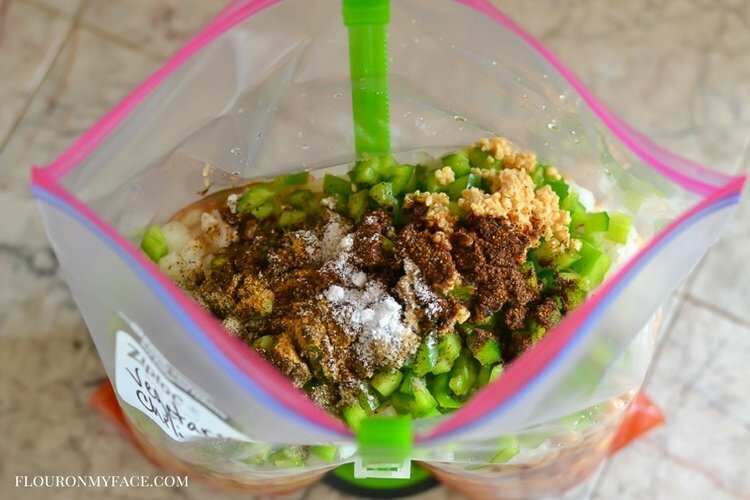 Place all the ingredients into a freezer bag. Pour all the ingredients into a pot. Simmer on medium high for about an hour or until the ingredients are piping hot. Pour all of the ingredients into the slow cooker. Cook 2 hours on high or 3-4 hours on low. Fill up on fiber and protein with this Freezer Meal soup recipe. This Freezer Meals Vegetarian Soup recipe is packed full of flavor, protein and fiber. Making it a very satisfying and filling vegetarian soup recipe. 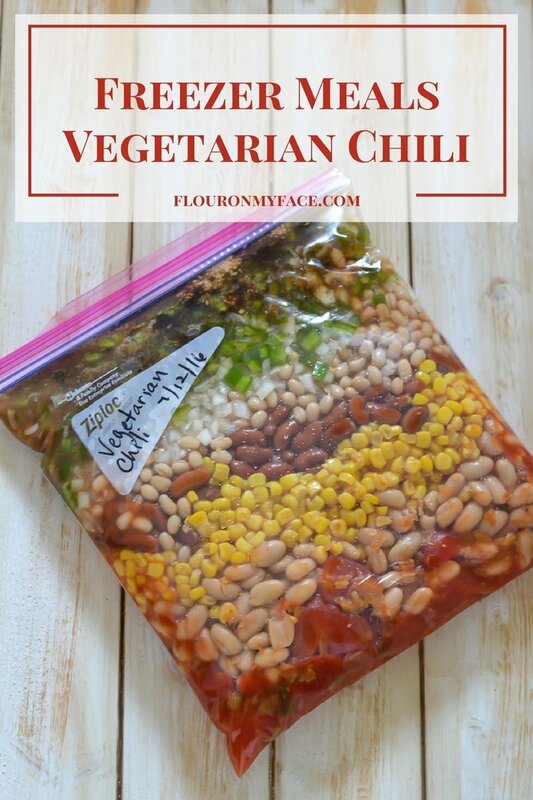 This Freezer Meal Vegetarian Chili recipe comes with stove top and crock pot cooking instructions. 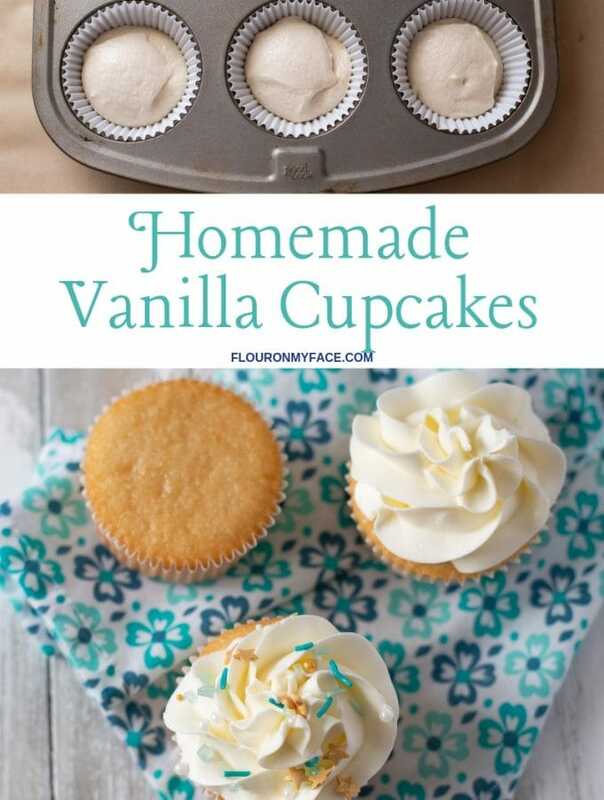 Check out my Easy Freezer Meals for Busy Families recipe page for more time saving freezer meal recipes. I cannot believe I have never tried to make predone freezer meals. They would be such a lifesaver. I loathe cooking so having these predone meals would be so handy on the days I just cringe at the thought of a dirty kitchen. Pinning, wish me luck in actually getting some done. Love this post. You have got to try stocking the freezer with a couple of freezer meals. They make getting dinner on the table so much easier! Freezer Meals are awesome and really make dinner time so much easier! I just started school again and I’ve been searching for dump and go and freezer meals to feed my family. This sounds yummy to throw in the crockpot before my afternoon class. The family will come home to dinner ready and I’ll have one less thing to worry about! Thanks for sharing! Congrats on going back to school! I’m so glad I can help you get dinner on the table!